MBSB says the special financing facil ity will allow home buyers to stretch monthly home-loan repayments to their children. KUALA LUMPUR: Malaysian Building Society Bhd (MBSB) will start extending home loan financing facilities to the second generation of property purchasers for its housing project in Sepang, president and CEO Datuk Ahmad Zaini Othman said. The non-bank lender, which does not come under the purview of Bank Negara, said this special financing facility would allow home buyers to stretch monthly home-loan repayments to the kids (second generation) of these home buyers, most of whom are retirees in their 50's. 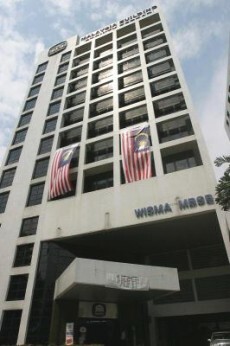 According to Ahmad Zaini, these property buyers will be offered a slightly higher interest rate of base financing rate (BFR) minus 0.5% with a tenure of 30 years, or age 70, whichever comes first.These interest rates are slightly higher than the conventional type of housing loans because of the buyers' advanced age profile. The buyers of the Sepang project had their hopes renewed recently after MBSB revived this once-abandoned housing project in Bandar Baru Salak Tinggi. It will also provide financing for the project totalling RM243mil for these end buyers. The offering of such loans sets a precedent for the property sector in Malaysia which has seen other financiers limiting funding for only up to a generation of borrowers until they are aged 70. Analysts and economists note that this type of second-generation property financing is a result of rising property prices despite Bank Negara's recent moves to stem spiralling home prices. A senior analyst with one of the five biggest local bank-backed research house who routinely covers MBSB said that this precedent set by the non-bank lender would help it solve its legacy issues and cut MBSB's non-performing loans by at least 200 basis points in the financial year 2012 from 8.5% last year. “MBSB has to start offering these second generation type of property financing due to soaring property prices. House prices are continuing to climb, which give reason for financiers to authorise such loans. Otherwise, where are the new stream of loans going to come from?” the senior analyst asked. An economist with a local bank-backed research arm said the emergence of this type of financing indicated how much property prices had spiralled out of control. He added that financiers in Japan extended loans up to the third generation during Japan's asset price bubble in the 1980s which peaked in 1989. “These types of financing are very risky for the broader economy as a whole. It only serve to increase household debt and put the next generation in debt even before they are born. These financiers should ask: What if the current generation of borrowers do not have kids, and they will have no one to turn to collect this money owed to them,” the economist said. Meanwhile, on a related matter, MIDF Research analyst Kelvin Ong said that MBSB had already started to strengthen its credit risk management system with a newly established credit scoring system to access loans and mortgages. “For mortgages, approval of mortgage loans will need to go through a committee. We understand that mortgage loans are priced at BFR minus 0.5%, but the group has been able to capture business from the middle- to upper-class segment of the retail market due to its higher margins advance,” Ong, who maintained his neutral rating on MBSB with a target price of RM2.20, said. MBSB's management also told the press last week that it had trimmed its loans growth target to 15-20% this year from almost 30% just a month ago.